On one tag you can add some text (from/to), on the back of the other, the gift card. I just add some Walnut stain distress ink to the edges and a red satin ribbon. 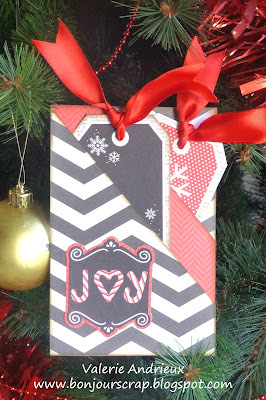 That red ribbon adds such a festive touch to this card and I LOVE the Candy Cane Lane stack! This one just shouts festive.